Wishing all of our valued customers a safe and happy holiday season, and a great new year! Merry Christmas! 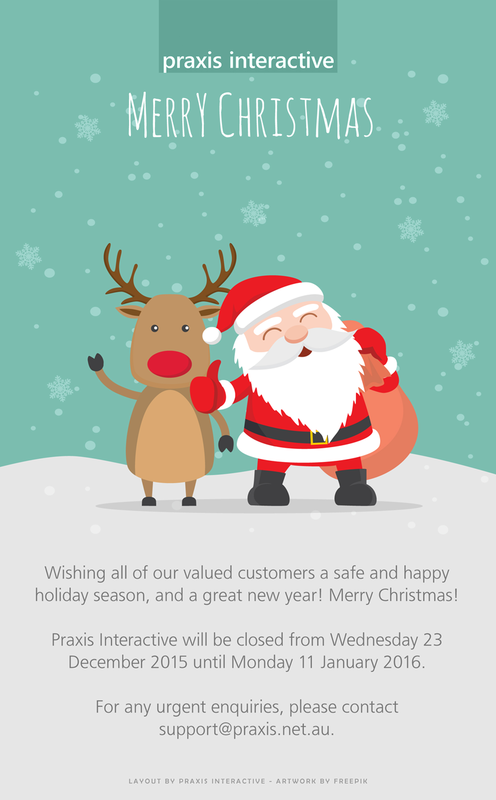 Praxis Interactive will be closed from Wednesday 23 December 2015 until Monday 11 January 2016. For any urgent enquiries, please contact support [at] praxis.net.au. There seems to be a lot of confusion surrounding the acceptance of payments via your website. There are many ways to achieve this, some complicated, and others much more complicated. In this blog post we'll briefly cover the basics. Today we're excited to announce that development has commenced on the new version of Praxis CMS, and we expect to start deploying sites with this new foundation later this year. Wishing you a safe and happy holiday season, and a prosperous New Year! Merry Christmas! 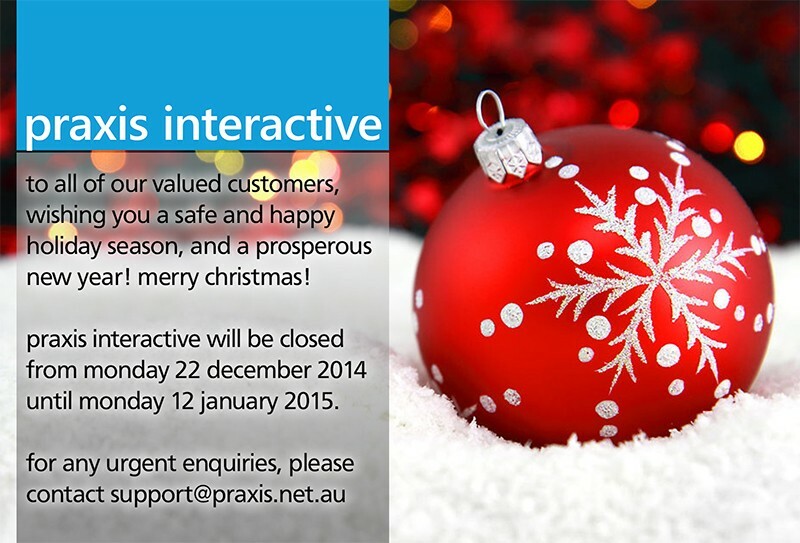 Praxis Interactive will be closed from Monday 22 December 2014 until Monday 12 January 2015. For any urgent enquiries, please contact support [at] praxis.net.au.